I’ve typed a few times about radio rallies. They’re basically markets for new and old amateur radio equipment, computer bits, and box upon box of various other electronic hardware that have served its useful life. Still, there’s nothing wrong with digging through these boxes of miscellaneous flotsam to see if there’s something that’s worth looking at, or giving a second home. Today was the first radio rally of the year, in Ripon. Chris came with me, and right in the middle of a box of trash, he spied a little box. “MP3 Player 4Gb”. Of course, the burning question is, did it come home with me? Pffft. Of course it did. 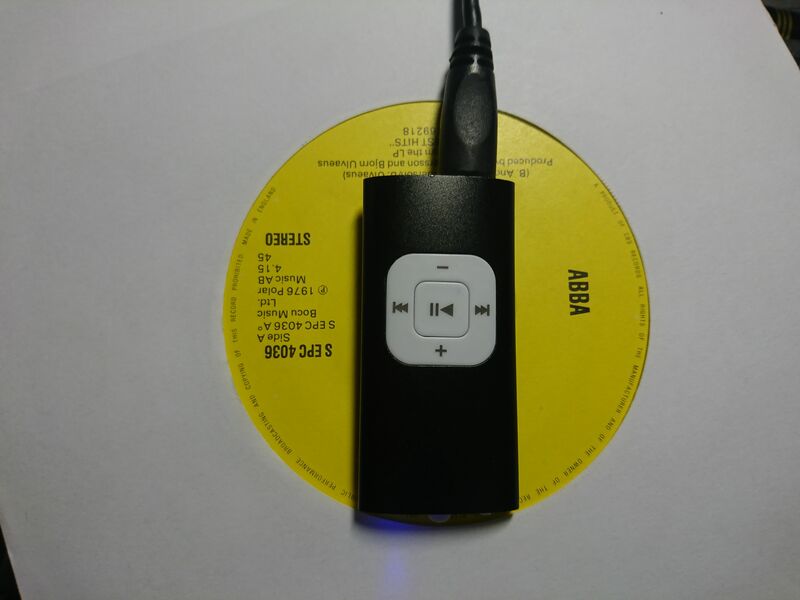 It’s one of those little “chewing gum” MP3 players, without any type of screen, or other functionality. The guy wanted £3 for it. I talked him down to £2. Finally, those years of watching re-runs of Bargain Hunt have finally paid off. My first successful haggle! It came with everything it should have done. Manual, mini (not micro) USB cable, and Of course, the in-ear headphones. I don’t think they’ve been used, but I’m going to nuke them from orbit, just to be on the safe side. 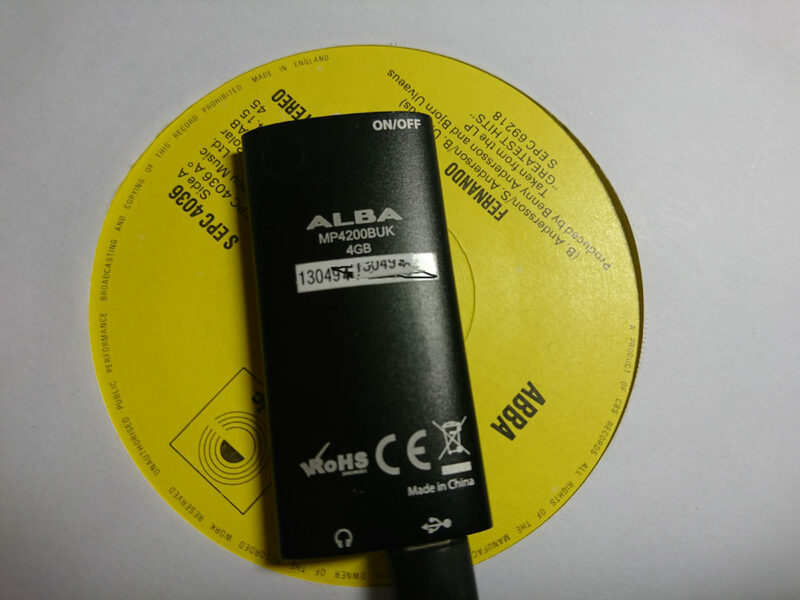 As you can see, it’s badged with the Alba name, and has the model number MP420008UK. Anybody that knows anything about hi-fi would probably projectile vomit at the mere mention of the word “Alba”, but if it wasn’t for my original Alba music system, which I got for Xmas 1991, and the CD player in 1992, I’d probably not have the same interest in music that I do now. The hi-fi is long gone, but the CD player still works. , or it did the last time I plugged it in anyways. So, anyway, back to this MP3 player. What’s the first thing you do with any type of 2nd hand storage media? That’s right, you plug it in, check to see what the previous owner had on it! I think I’m safe publishing this. It’s an MP3 player. I don’t think they’re going to be listening to their personal documents through this. It seems this MP3 player had a very easy life, as there were only a few files on it. 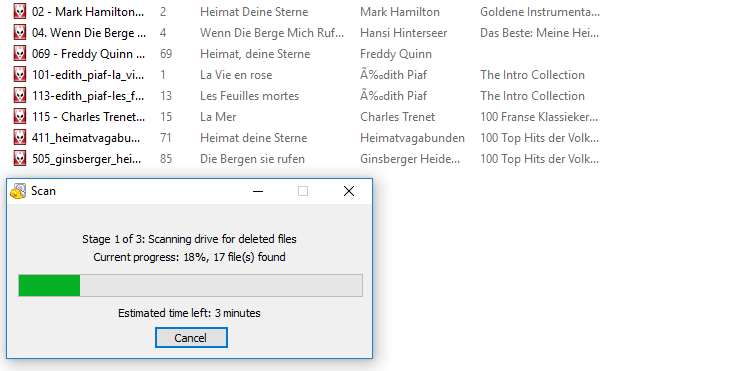 The majority of the drive seemed to contain the same random data string, so it was either like this from the factory, or the previous owner wiped it using a utility. This was entirely possible, as due to the .trash-1000 folder, the previous owner was using Linux. It didn’t come back with anything other than the few tracks that were already visible. The rest of the 17 files were just random system files. Oddly, a lot of German-named tracks. Edith Piaf too. Coincidentally, Chris was with me . Funny how these things come together like that. So, I’ve typed all of this, but does the bloody thing work? Yes, is the short answer. Cosmetically, it’s in mint condition. No obvious wear, and the serial number sticker isn’t worn at all. As this has spent (what looks like) many years stashed away, I’m not sure how healthy the non-replaceable battery is going to be, but it charged without an issue. I formatted it, and copied three, songs to it. They’re the first three instrumental versions from the “Pandora’s Box” version of Hell Frost, by The Unguided, if you were wondering, and yes, it works great. Despite it only being 4Gb, that’s plenty of space for the short bus journey to work. It certainly lasted the whole time it took me to type this. In conclusion, I’m pretty happy with this purchase. It’ll certainly last me until I upgrade my phone. Now, to choose what other crap to fling on it! Posted on April 14, 2019 April 14, 2019 Categories Music, New stuffTags 4gb, mp3 player, radar, radio rally, riponLeave a comment on 2nd hand MP3 players!